You can find the most up to date Events & Classes list on Facebook as well. To register for a class click on the class you are interested in below and you will be prompted to register. MS-L Open House - Come check us out! Let's make some quilt blocks. We will be following the Craftsy 2015 summer Block of the Month (BOM) class to make some beautiful star quilt blocks. Never quilted before? Don't know where to start? Or are you a master quilter? This group is open to anyone with an interest in making some snuggly love. For this class, you will provide your own materials. We have some tools to share, but if you have your own, please bring them. It is also a good idea to have a Craftsy account. You can follow along with the videos online, ask, answer, and read questions from other students, and print out instructions and supply lists. There is no fee to open an account, and this class is free. You are welcome to purchase their fabric kit, but are not required to. If a Craftsy account is not for you, I will have instructions printed for you- just let me know. This group is not a class, so you are able to work at your own pace. You can do everything at Makersmiths, do some sewing at home, or a little bit of both. As we progress, we can discuss options like quilt-as-you-go, sashing, binding, and everything else quilty. I would love to hear your creative ideas! Bring something that's broken and our makers will try to fix it. We can't guarantee we'll be able to, but we'll try. Service is free, but donations are accepted. While you're here, learn about Makersmiths and how you can become a maker! Electronics Wednesday is intended to be a social, group learning event. Members of this group are beginners to experts who are also invited to organize group projects or group builds. Come hang out or bring your electronics-related projects to work on or share with other group members. This is a great time to seek help and guidance on electronics and embedded electronics (Arduino, raspberry pi, etc). There is no charge for Makersmiths members or members of the general public for these gatherings. Meet in the electronics room at Leesburg and we may also use the front part of the general purpose room if it is available. The group is limited to 10 members each time we meet. 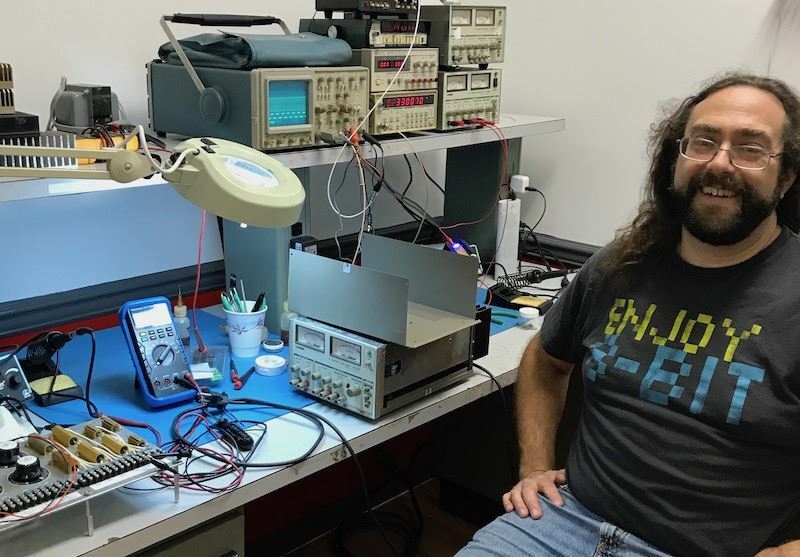 The host for Electronics Wednesdays is Allon Stern. Questions? Contact him at allon@radioactive.org. We’re trying something new here! Similar to our bi-weekly open craft nights, we’re going to start doing a monthly board game night! Bring a game, or just come and play a game. There are several tables in our main room in Leesburg, so multiple games can be played at once! Snacks are welcome as well. Plus, we’re thinking of having kids playing in another room just in case we want to play something like Cards Against Humanity. So it will technically be a family friendly event! We have set aside 2.5 hours, but we can stay as late as a full member is willing to stay! RSVP so we know how many to expect. Makersmiths is a non-profit organization providing knowledge, space, equipment, community and programs to enable you to learn, design, make, launch, work and play. We are adult enthusiasts, young adults and kids learning, playing and making, entrepreneurs prototyping new products and concepts, and finally, we are a community organization taking part in the maker movement. On Tuesday evenings, come visit our Purcellville facility- 3900 square feet of workrooms containing woodworking and metalworking tools, powder coating and welding areas, a large classroom-meeting room, and soon to be ceramics and picture framing spaces. 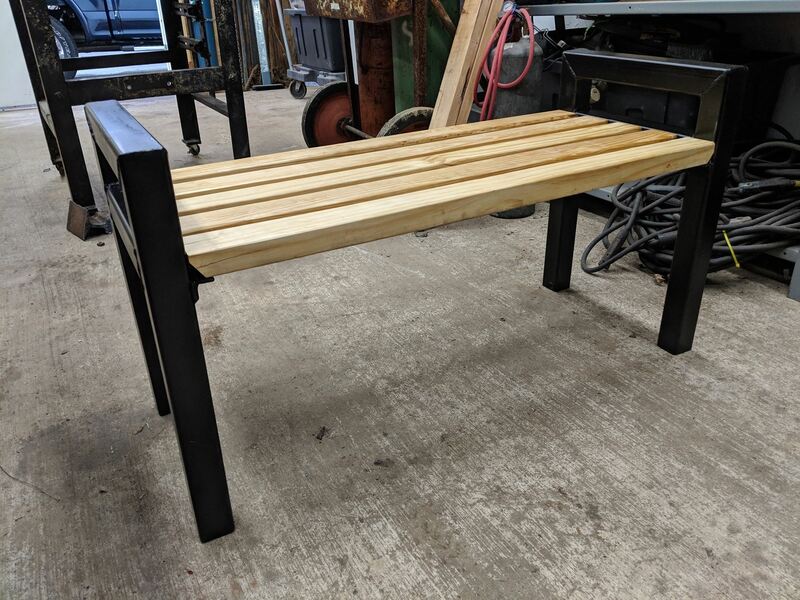 We also offer classes and project workshops on a variety of topics such as welding for beginners, basic woodworking skills while building fun and usable items such as a corn hole game or river resin serving board. 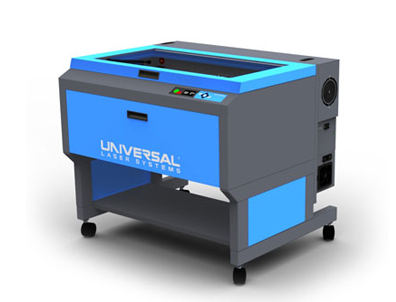 Or, join us to learn designing and programming for use on 3D printers, CNC rotors and mills. We'd like to invite you to come by for a mini-tour and chat during Open House hours on Tuesday nights from 6:00 pm to 8:00 pm. We're located at 785 S. 20th Street Purcellville, VA 20132. We are a non-profit organization providing knowledge, space, equipment, community & programs to enable you to learn, design, make, launch, work and play. We are adult enthusiasts, young adults and kids learning, playing and making, entrepreneurs prototyping new products and concepts, and finally, community organizations taking part in the maker movement. Our members share over 3,000 square feet of workrooms with CNC mills, 3D printers, a 100 watt laser cutter, woodworking and metalworking tools, meeting space, storage space and more. We also offer classes and project workshops on a variety of topics such as butcher block cutting board building, Arduino and RaspberryPi programming, and welding. We'd like to invite you to come by for a mini-tour and chat during Open House hours on Thursday nights from 6:30 pm to 9:00 pm. Come poke around, ask questions, see what other members are working on. We're friendly and casual. 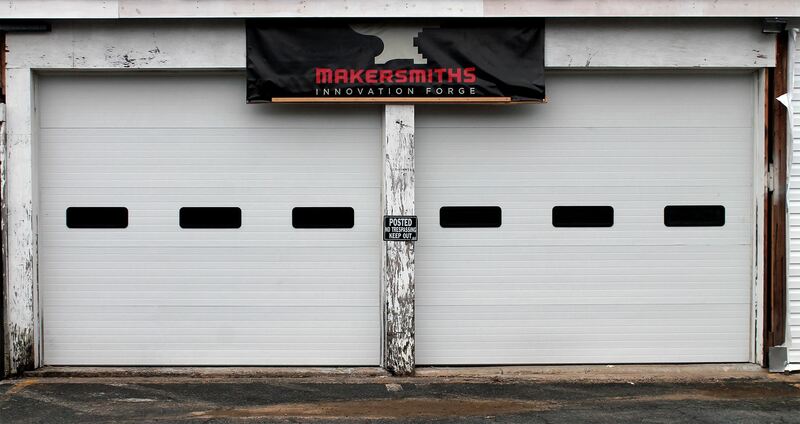 We're at 106 Royal St SW, Leesburg, VA 20175 or search Google Maps for "Makersmiths" for directions. Hope to see you soon, maybe next Thursday. In the meantime, if you have any other questions, please feel free to ask! Every third Thursday bring something you made to show it off and talk to others about how you did it. Find other people who make similar things or get inspired for your next project! Welding Workshop - Open to All Members and Public ! ! ! Just In Time For Spring . . .
Steel Bench Welding Workshop at Makersmiths-Purcellville. This single day workshop will focus on steel cutting, grinding and mig welding. Students will get an overview of a variety of metal fabrication tools, materials, and techniques. By the end of the class, you will have a good grasp of the welding process and you will make your steel bench to take home with you. Show off your welding skills! PREREQUISITES: No prior welding experience necessary. No prior welding experience necessary. But safety first: Please wear hair tied back, closed toe boots, jeans, and long-sleeved shirts. Your boots and clothing will get dirty and burned by small sparks so dress for safety, not for glamour. All participants MUST have signed liability waiver on file or sign waiver prior to starting the workshop. 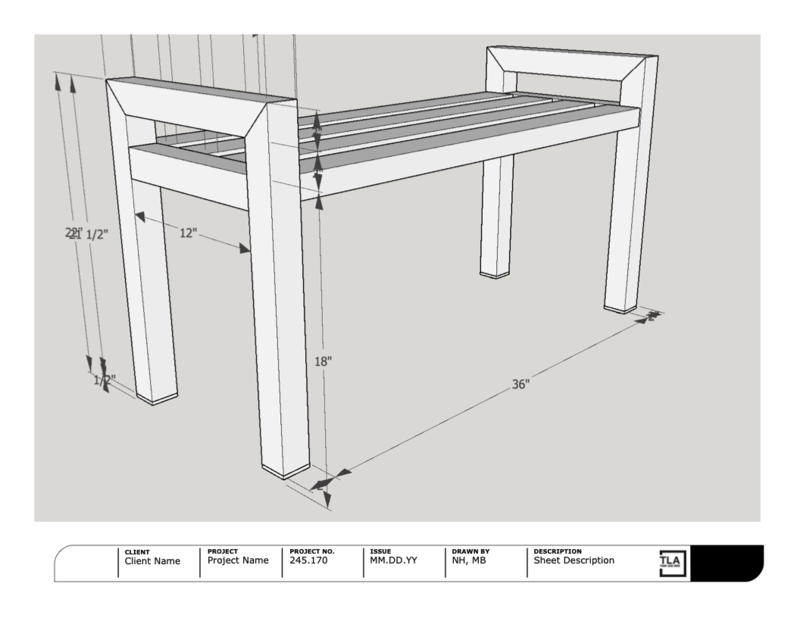 MATERIALS: Class fee covers all materials; 2"x2" steel tubing, 2x3 wood slats, angle iron, paint, screws and welding consumables. We'll also provide safety protection including welding masks, welding jackets and gloves, but if you have your own please bring em. REFUNDS/CANCELLATIONS: Class size limited to four participants. We reserve the right to cancel the class if we do not have the minimum amount of participants. If we cancel, we will refund you in full and notify you. You may cancel and get a full refund up to three days before the class. After that, refunds are contingent on us being able to fill your seat. Under no circumstances do we offer refunds to individuals who cancel on the same day. This ruins the party for everyone. LOCATION: Workshop will be held at Makersmiths-Purcellville, 785 S. 20th St., Purcellville, VA 20132. Meet in the welding room. Host for this Open Woodshop will be Chris Chatfield. Description: This class will go over the basics of using the rotary tool to etch round objects such as glasses, bottles, carafes, ramblers, etc. with the ULS laser. Students will receive hands on instruction and etch a hurricane glass to take home with them. Prerequisite: You must have attended the Laser Cutter Introduction class prior to attending this one. 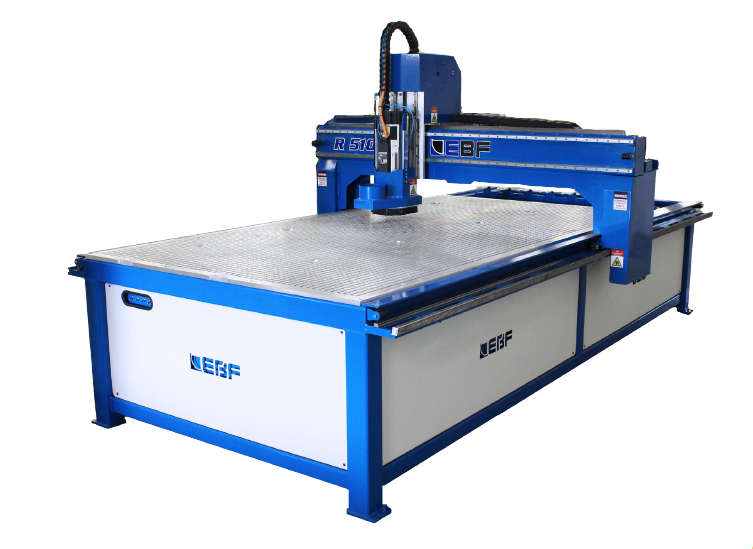 This class is an introduction to the EBF CNC Router. Participants will obtain information on how to set up and cut material on this machine. This workshop will feature an overview presentation in the Green Room followed by a hands-on practical experience on the CNC for each attendee in the wood shop. Each attendee will operate the machine to cut a sample job (GCode will be provided) and take home a dovetail drawer box. Pre-requisite Skill Level: CNC Basics course or some familiarity with CNC. This is a Basics-level Workshop. We will offer in the near future an advanced workshop that will cover Fixturing, Gcode, 3D, and 2-sided work. Materials provided by the instructor: Printed copy of presentation slide material, and 1/4 sheet of 3/4 plywood to use for the practical (hands on) part of the class. Questions? Contact the instructor, Jim Waldron, through a direct message on SLACK. Makersmiths, Inc. members wishing to use the tools in the woodworking shop in Purcellville must complete a course of orientation and training and demonstrate competence with each tool before their name will be placed on the approved list of machine operators. Completion of red tool training in Leesburg does NOT permit you to use the tools or shop in Purcellville. 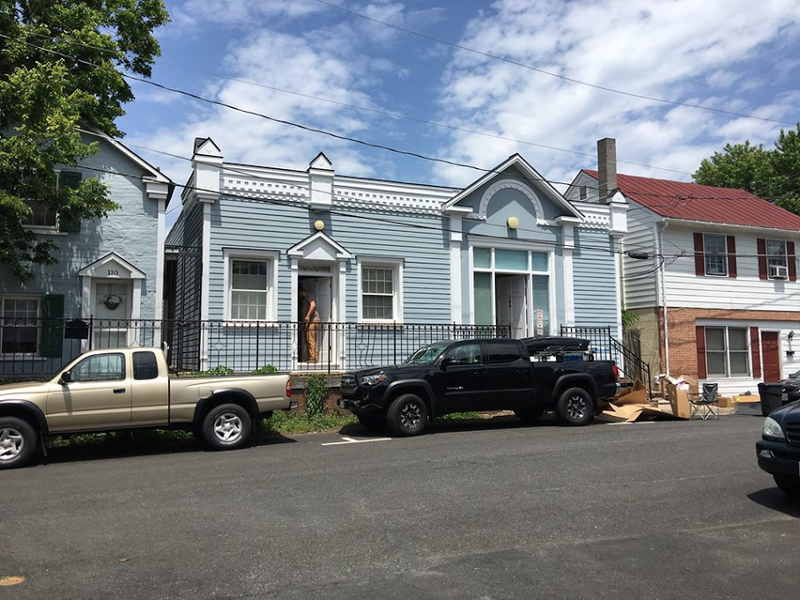 While many of the tools in the two locations perform similar tasks, the tools in Leesburg are homeowner/hobbyist in size while the tools in Purcellville are industrial sized. Red Tool training for woodworking in Purcellville is divided into three classes: Red Tool Woodworking-Basics; Red Tool Woodworking-Advanced; and, Red Tool CNC. Prerequisites - Must be 18 or older and have an interest in woodworking. Class size is limited to four students. The class is a minimum of two hours but may take longer depending on attendee’s previous experience. The class will start in the Green Room with a presentation and discussion covering shop etiquette, layout, hours, rules, material storage, and safety. Class will then move into the wood shop where various machines will be demonstrated. Members will get an opportunity to practice on each machine. 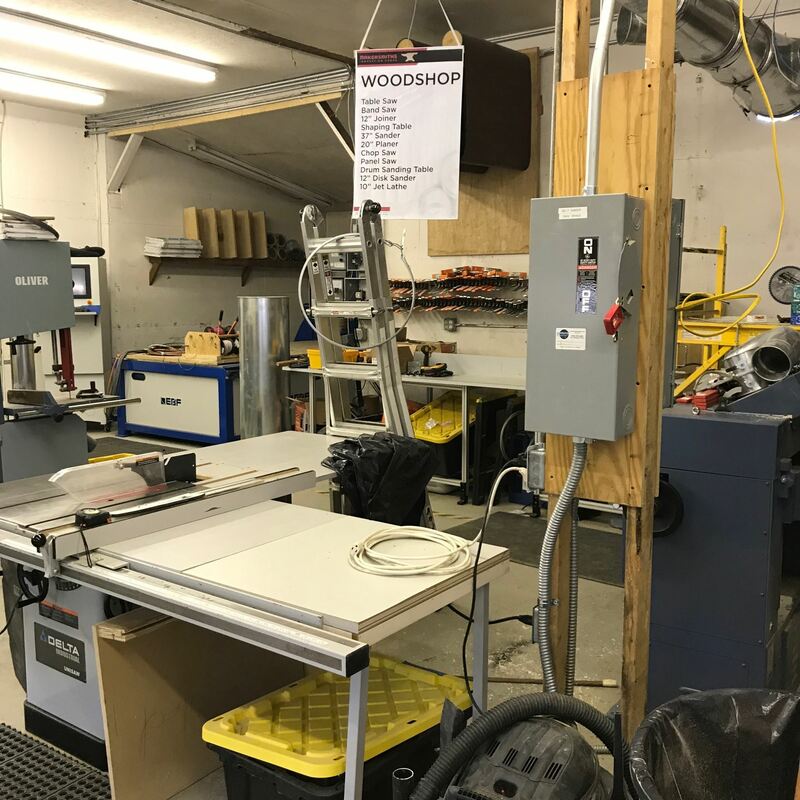 The machines covered in this class are; Panel Saw, Table Saw, Miter Saw, Drill Press, Spindle sander, 12” Disk Sander, Downdraft Sanding Table, and Dust Collector. Interested in designing and building your own flower boxes, laser engraved garden markers, 3d printed flower pots, custom electronic watering systems, or other garden related projects? Come visit the Makersmiths booth at the Leesburg Flower and Garden Festival. We will be showcasing capabilities available at our makerspace and demonstrating projects people have completed. We will be in the non-profit exhibit area, so if you have questions or are curious about what Makersmiths offers our community please stop by. Prerequisites - Must be 18 or older and have completed Red Tool Woodworking-Basics. The class will start in the Green Room with a presentation and discussion covering wood and machine terminology, machine manuals and other resources, rules, and safety. Class will then move into the wood shop where various machines will be demonstrated. Members will get an opportunity to practice on each machine. The machines covered in this class are; 12” Jointer, 22” Planer, 37” Belt Sander, and 20” Band Saw. Learn to make lavender-chamomile and honey-almond goats-milk soaps using a melt and pour process. We will also use glycerin-based soap with a variety of scents and molds that will create fun-shaped soaps moms will love to use. Participants will be given an opportunity to "package" their soaps as gifts to give to their moms, grandmothers or other special folks on Mother's Day. Since this is a family-oriented event, a parent or teen bringing a child is considered one registration. 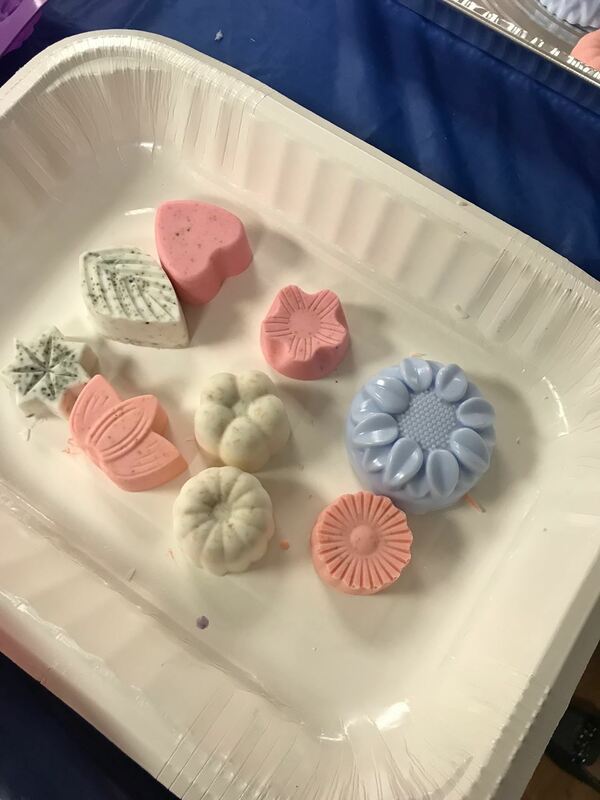 In addition to the soaps made in this workshop, each family will receive a silicone soap-making mold and set of instructions to take home so participants can make soaps for other holidays during the year. 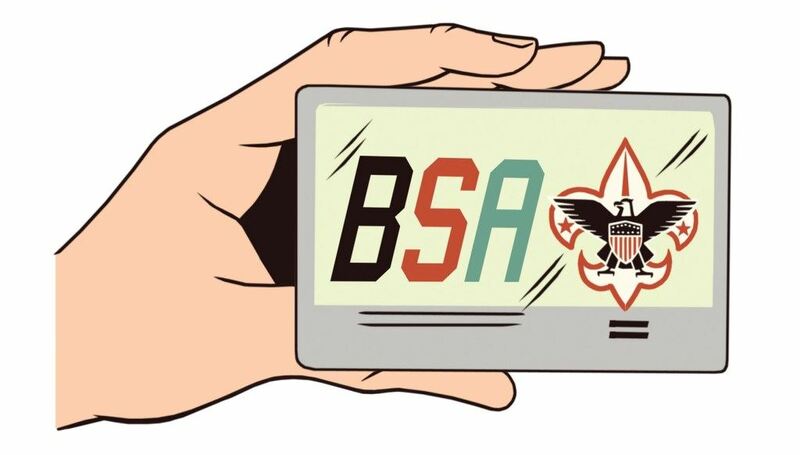 Makersmiths will hold an open house for Scouts BSA to come see our workshop in Leesburg, VA. At 7:00 pm, Makersmiths' member, Diane Painter, will give a short talk about assistive technologies and challenge attendees to think about assistive applications within the scouting world. This is a Girl Scout's only event held here at the makersmiths! 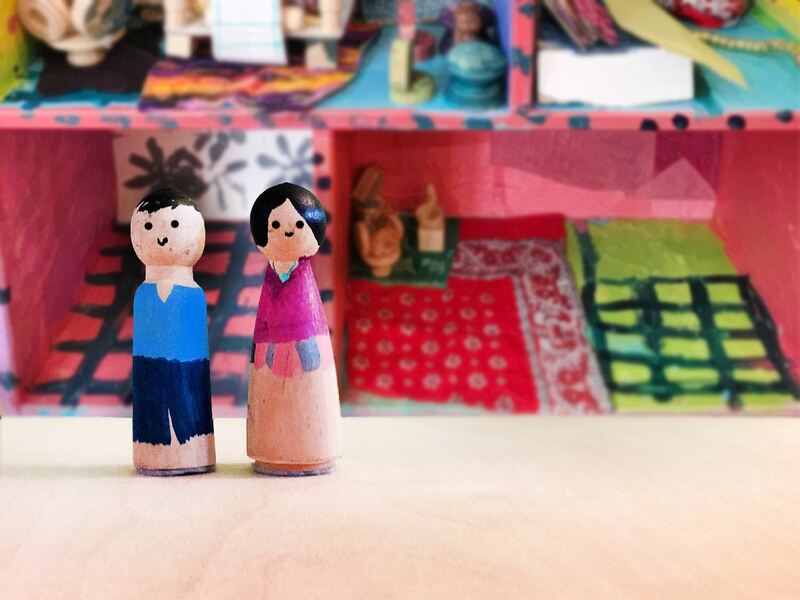 Come join us for an entire week dedicated to creating a one of a kind dollhouse, super hero headquarters, firehouse, mall or whatever else your child, age 7-12, can imagine! We will have two instructors, Jessee Maloney and Erin Werling with at least a combined 40 years worth of crafting and making under their belts who will teach new and interesting techniques while helping guide your child through the design and making processes. These instructors are also CPR and First Aid certified, and are Verified Volunteers through Girl Scouts with many years of working within the organization. 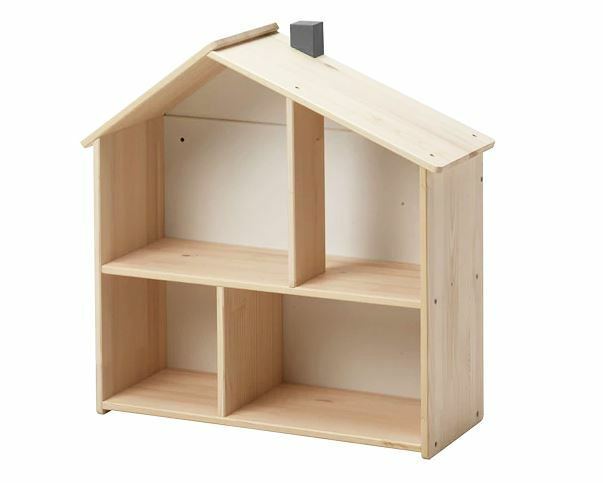 The $225 fee for this day camp includes one fully assembled and unfinished Ikea dollhouse (pictured below), a family of unfinished wooden peg people and any and all supplies needed to completely decorate them. These supplies will include wood bits, wallpaper scraps, fabric, scrapbooking paper, paint, glue, recycled goods, fake flowers, 3d printed pieces, air dry clay, paint markers and more! Monday: Planning and Prepping: we will introduce ourselves, and play some games to help ease into the week. We will also narrow down exactly what we want out of our dollhouses/headquarters. Tuesday: Painting and Printing: We will start painting the inside and outside of our buildings. While everything is drying we will learn different techniques to make our own wallpapers or printed fabrics and then try them out. Wednesday: Cardboard and Construction: This day is all about furniture and accessories for our spaces. There will be a small lesson on how to use wood bits and cardboard to make sturdy furniture and then we will spend most of the day testing and assembling. Thursday: Fabric and Fibers: We will start this craft day with a quick lesson on how to use fabric and fibers (yarn, string, etc) in the houses and then spend the rest of the day adding these little details. We will also continue constructing anything from the day before. Friday: All the Details: This is our last day and it will be filled with finishing up our buildings as well as designing and decorating the little wooden peg residents. At the end of each session we will move the dollhouses into a secure storage area to keep them safe for the next day. The instructors will do this and will not ask the children to carry anything heavy. We do ask that you make preparations to bring the house home on the last day! We only have the extra storage space for the week of the classes and no longer. Parents are welcome to stay for the camp, or hang out in the space, but it is not required. We do ask that you are on time for pickup. 04/11/2019 MS-L Open House - Come check us out! 04/04/2019 MS-L Open House - Come check us out! 03/28/2019 MS-L Open House - Come check us out! 03/21/2019 MS-L Open House - Come check us out! 03/14/2019 MS-L Open House - Come check us out! 02/28/2019 MS-L Open House - Come check us out! 02/21/2019 MS-L Open House - Come check us out! 02/14/2019 MS-L Open House - Come check us out! 02/07/2019 MS-L Open House - Come check us out! 01/31/2019 MS-L Open House - Come check us out! 01/24/2019 MS-L Open House - Come check us out! 01/17/2019 MS-L Open House - Come check us out! 01/10/2019 MS-L Open House - Come check us out! 01/03/2019 MS-L Open House - Come check us out! 12/27/2018 MS-L Open House - Come check us out! 12/20/2018 MS-L Open House - Come check us out! 12/13/2018 MS-L Open House - Come check us out! 12/06/2018 MS-L Open House - Come check us out! 11/29/2018 MS-L Open House - Come check us out! 11/15/2018 MS-L Open House - Come check us out! 11/08/2018 MS-L Open House - Come check us out! 11/01/2018 MS-L Open House - Come check us out! 10/25/2018 MS-L Open House - Come check us out!